The flat goes to the person at birth or acquired throughout life due to excessive overload for hours of work standing or disorders of the foot. Let’s find out why it is so important to do x-rays of the foot. Consider the consequences of this disease. Find out the ways of styling, with the installation of the foot on the longitudinal and transverse platypodia. Find out the degree of deformation of the foot. The symptoms in these diseases are variable, depending on the developed pathology. Osteoarthritis of the hip and knee joints forcing people to move with the help of sticks and crutches, and is often the cause of disability. The development of plantar fasciitis is accompanied by severe pain in heel in the morning by relying on the foot. Varicose veins in the legs marked heaviness in the calf muscles and swelling. The longitudinal flat feet is common among women who are overweight and in individuals whose work is associated with hours of stay on your feet (hairdressers, sellers). Found disease and mismatched sports shoes. In women, after a long walk in high heels disturbed biomechanics of the foot. The bulk of the body is redistributed from the heel to mid-sole, causing an overload of the plantar fascia and, consequently, flattening of the longitudinal arch. To identify this disease, make x-rays of both feet with the load in the lateral projection. III the hell runs this joint to the first metatarsal bone. These features measure the height and the angle formed by the second and third line. The altitude is the perpendicular from the point of connection of the second and third features down to the first horizontal line. Normal height is greater than 35 mm, and the angle of 125-130°. For stage I, arch height 25-35 mm, and the angle 131-140°. The first concerned the degree of human fatigue in the legs during exercise. Grade II – height 17-24 mm, the angle 141-155°. With this degree of pain worse with prolonged walking, and physical effort, and the selection of shoes is difficult. When III degree of height less than 17 mm, the angle is 155°. With such deformation of the arch the patient constantly feels pain in the legs, lower back and feet. X-ray data of the longitudinal arch of the foot are used in the examination of recruits for military service. When such a deformation of the transverse arch flattens and the foot shortened. Fingers feet take hammer-like. On the ball of the foot produces corns. When transverse flatfoot the picture shows the deviation of the first metatarsal inward, and the other to the sole. While increasing the distance between the bones and the first toe is deflected outwards. 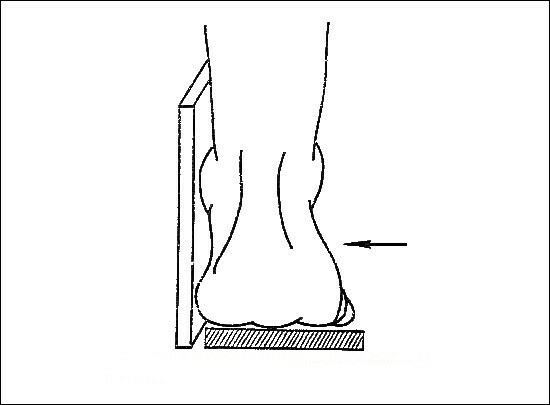 For detection of transverse flatfoot making x-rays of both feet with the load in 2 projections. For this, the patient puts the foot on the x-ray cassette, hand resting on the chair. The x-rays directed from above in the center of the cassette. On the radiograph in direct projection measure the angle of deviation between I and II metatarsals. Normally it up to 11°. First-degree deflection angle of 11-12°. At the II degree – up to 15°. For III degree – from 16 to 20°. X-ray of the foot with the load most often used in the diagnosis of diseases of the foot. It shows anatomy, structure and condition of the tissues of the foot and is held in several perspectives. This method is also used to identify flat feet in recruits. For the prevention of diseases that cause flat feet, you need to wear corrective insoles hard to maintain the arch of the foot. When flattening the longitudinal arch apply insole with arch bending and the heel bumper. To support the transverse arch needs to apply insoles pelot. In the combined foot flat on the insole should be arched bend and bandage. READ At what period of pregnancy see twins on the ultrasound? In European countries children with diagnosed flat feet are under the supervision of a physician and always wear orthotics until the age of 23, until the stop of the child. Summing up, recall, the flat feet is the cause of many diseases of joints and spine. Therefore, it is crucial to make x-rays of the foot. 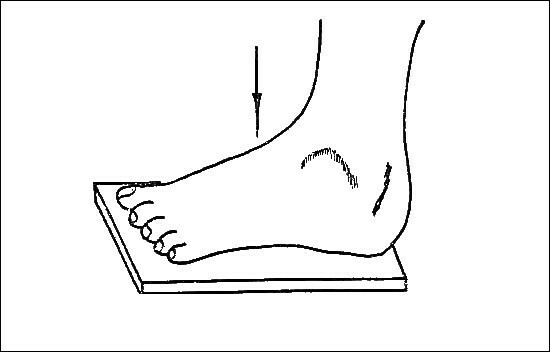 To detect flat feet doing x-rays of both feet with the load. While doing the two projections. This method is used also during x-ray examination of recruits.